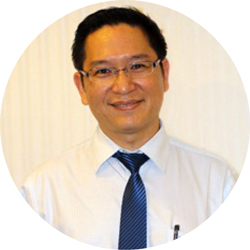 Dr. Atikom is a Plastic and Reconstructive Surgeon exclusive to CosMediTour at Samitivej Chinatown Hospital. Commencing his medical training 11 years ago, Dr. Atikom has operated alongside Dr Pornthep as one of his Assistant Plastic Surgeons for 4 years. This mentorship has enabled Dr. Atikom to refine his specialist surgical techniques for Breast Surgery and Contouring, Tummy Tucks and Mummy Makeovers. Dr. Atikom also devotes time as a volunteer performing reconstructive surgery on patients who have suffered facial deformities from accidents as well as children born with cleft lips and palates. 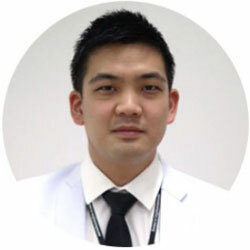 – 2015 – Present – Plastic Surgeon, Division of Plastic and Reconstructive Surgery, Department of Surgery, Bhumibol Adulyadej hospital, Directorate of Medical Services, Royal Thai Air Force. Due to popularity, Dr. Atikom has limited surgery dates available. ENQUIRE NOW for more info or get a FREE ASSESSMENT to start your surgery journey.